The voice of Roleen’s instrument sounds stunning to anyone who passes by her. 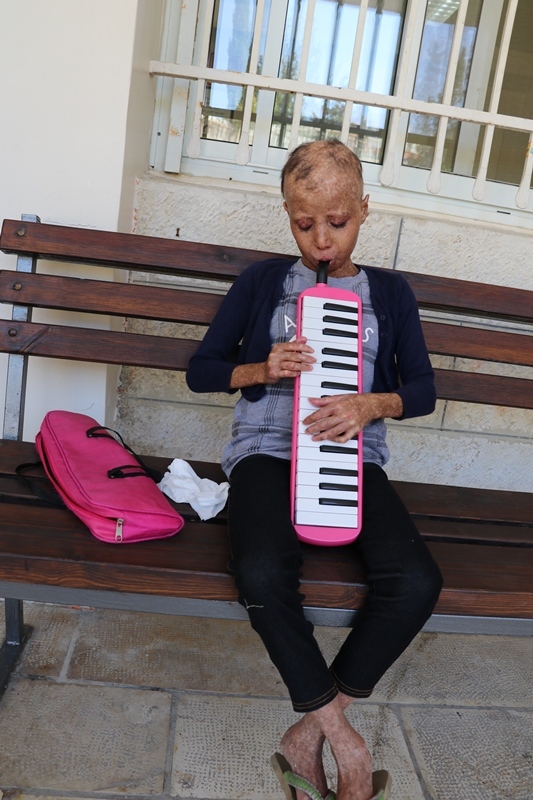 People find her sitting on a bench in the front yard of JPBC playing tender tunes on her melodica. 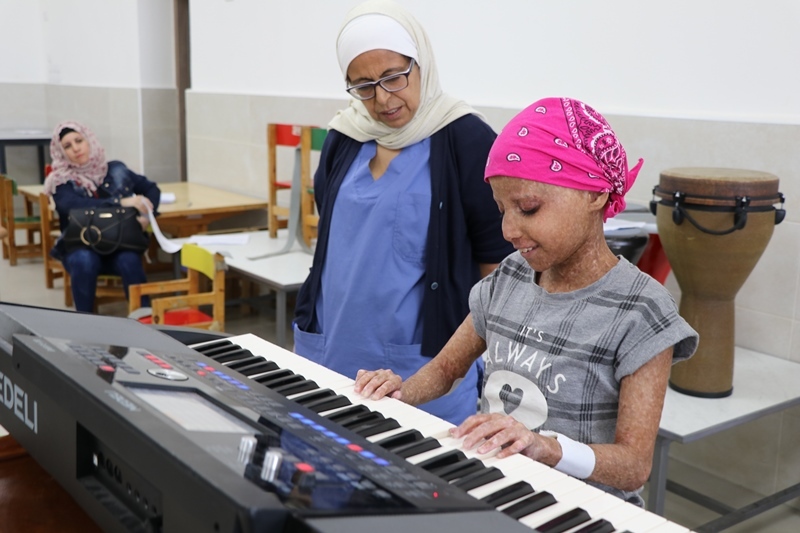 The little girl spends hours training passionately to perform the best melodies for her coming music therapy session. Roleen is 10 year old girl from Saffa, a village located West of #Ramallah. Her life changed four years ago after she was diagnosed with #Leukemia and needed urgent bone marrow transplantation to save her life. Consequently, Roleen started to have chemotherapy and suffered its hideous side effects of hair loss, in addition to changes in the color of her skin. She was referred to JPBC due to the essential need of receiving a comprehensive rehabilitation treatment. In her first admission, Roleen was distant and refused to attend most of the sessions. 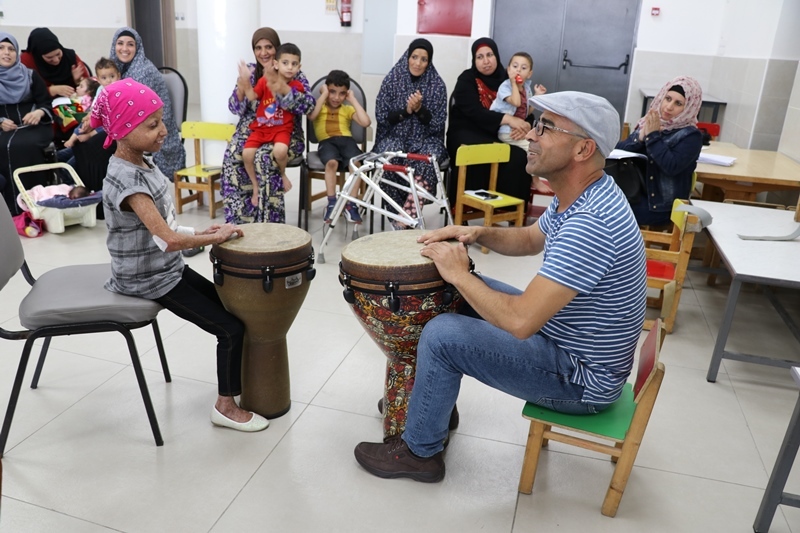 Roleen hesitated whether to participate in the music therapy session or not, but decided to join the class for the charm of the instruments that captured her.